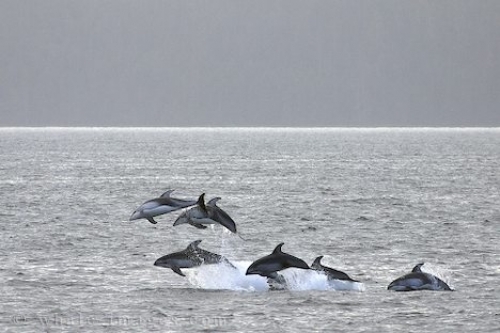 Ecotourism - Pacific White Sided Dolphins, British Columbia. When these Pacific White Sided dolphins decided to take off, they certainly did just that. Ecotourism is on the rise around the globe, with travelers becoming more aware of the advantages of making tourism a sustainable industry through conservation of the resources it uses. Ecotourism will offer more travelers the unique opportunity to experience dolphins in the wild without interfering with their daily lives.